Very scared baby recently arrived at the shelter after being picked up as a stray 😢 He most likely had a family, but sadly, no one has come forward to claim him. Now this sweet baby lies in his kennel every day, heartbroken and depressed. The reason for the betrayal? His family didn't want him anymore. Very scared baby only 4 months old spiraling downwards into a deep depression. His mind is possessed by thoughts and memories of his former family, all the love showered on him previously, the beloved darling of all those around him. 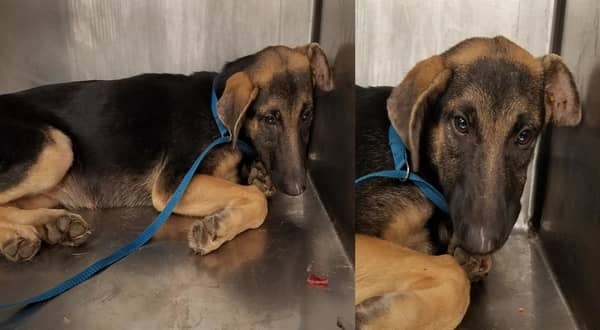 2 Responses to "He doesn't deserve to die for a broken heart, 4 months old scared baby was given another day to find a home"
How do you get a dog on this website? There is no contact information.